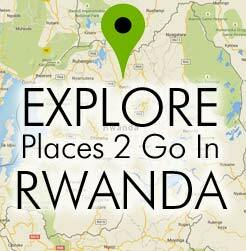 Description: Volcanoes National Park protects the Rwandan portion of the Virunga Mountain Range which runs along the Ugandan, Rwandan and Congolese borders. The entire range is comprised of six extinct and three active volcanoes, and is home to more than half of the world’s population of the famed yet endangered mountain gorillas. Rwanda’s portion of the Virunga’s include five summits, offering a myriad of activities, the most popular being Gorilla Tracking. Equally exciting activities for the wildlife enthusiasts include Golden Monkey Tracking, and Chimpanzee Tracking. For the physically inclined there are hikes of varying lengths and endurance levels, such as the hike to the summit of Bisoke to enjoy the scenic crater lake bordering the DRC, or trekking to the site of primatologist Dian Fossey’s grave where much of her primate research was carried out. Activities at Volcanoes National Park are diverse and exciting, and only possible in Rwanda. 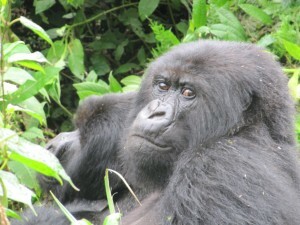 Time: Most people allocate 2-3 days for Gorilla Tracking. Many opt to add in additional hikes or animal tracks to help get acclimated to the altitude before Gorilla Tracking, or to simply get more time to soak in the park’s other wildlife and overall exotic ecosystem. A good rule of thumb is an extra day per activity.